This is heavenly. It's simple, fool-proof and somehow both light and seriously satisfying. It's perfect for when you need instant comfort with minimal effort. Whip up a traditional dish with a twist this St Patrick’s weekend with these modern takes on homegrown classics from Donegal chef Brian McDermott. Whip up a traditional dish with a twist this St Patrick’s weekend with this modern take on the homegrown classic from Donegal chef Brian McDermott. Jo Pratt’s latest ‘flexitarian’ cookbook is a delicious collection of fish-inspired recipes with plenty of plant-based alternatives. Chickpeas make for a tasty tuna alternative in this comfort food classic. Upgrade your pancake game with these mouth-watering recipes for the much-loved, quick and easy meal. Cauliflower is the star in this foolproof and flavoursome recipe. Dahl is a porridge lover's dream - it's the savoury version of a hug in a bowl. This one is simple and foolproof but has so much flavour. Oscar-winning actress and founder of the controversial Goop lifestyle brand, Gwyneth Paltrow says her fourth cookery book is her ‘cleanest’ yet. In it, she talks about how food can heal the body, and the recipes can be customised into targeted meal plans. A meatless Monday or an occasional dairy-free latte, there isn’t a rule book for going vegan - it’s your choice, writes Holly White whose debut cookery book has been a huge success. 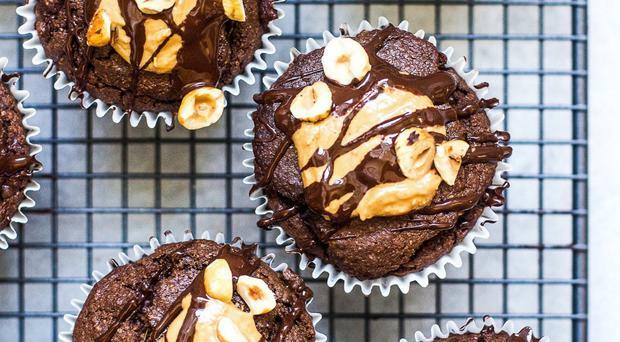 Liven up your morning with these vegan delights. Whether you want to veg out or take comfort,Tom Kerridge offers tasty, healthy alternatives to the January diet – for life. Three quick, easy and tasty vegetarian dishes to try this January. Whether you’re the host or a guest bearing gifts, whip up some crowd-pleasing bites for New Year’s Eve with recipes from Edward Hayden. After all the Christmas food my body craves vibrant, nutrient-dense foods. Turn your leftover veggies into a tasty Christmas fry-up. Ballymaloe’s Darina Allen shares her all-time favourite recipes for delicious Christmas turkey and ham.